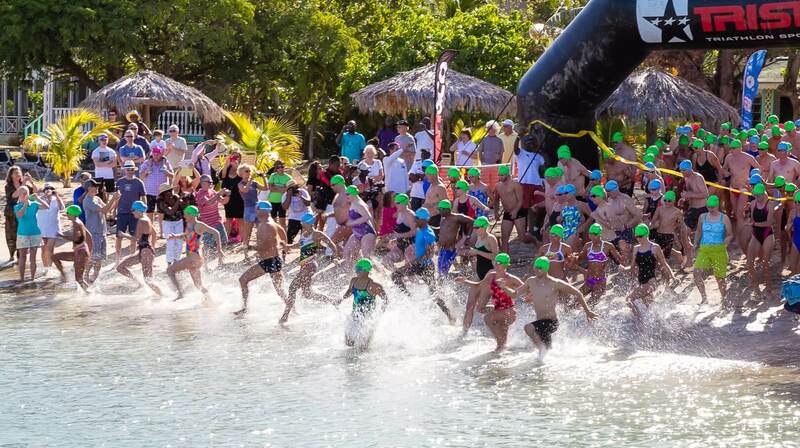 The Nevis to St. Kitts cross channel swim has become one of the 'must do' open water swim events in the Caribbean region. The swim is 2.5 miles (4km) and starts from Oualie Beach on Nevis and goes accross the "Narrows" to finish at Cockleshell Beach on St. Kitts. The swim was started as a way of remembering and acknowledging the support of one of our early club members 'Bente Weber' whom we lost to cancer and thanks to the support throughout the years continues to grow and make a great impact.